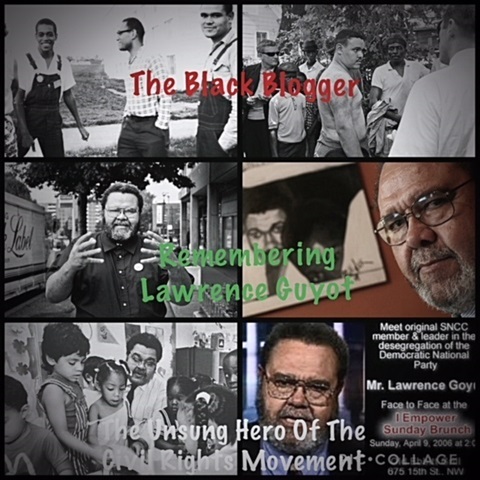 REMEMBERING LAWRENCE GUYOT "UNSUNG HERO IN OUR STRUGGLE"
This afternoon I felt the need to revisit Lawrence Guyot. It's vitally important that we never forget the names, deeds, actions, and sacrifice of those of us who helped us continue the struggle against injustice. Mr. Guyot was definitely a name that should be placed along side the past leaders who fought with valor for black civil and social rights. This is a post I put together along with an article from the Washington Post on the day after the passing of Lawrence Guyot on November 23, 2014. A Mississippi native, Lawrence Guyot worked for the Student Nonviolent Coordinating Committee and served as director of the 1964 Freedom Summer Project, which brought thousands of young people to the state to register blacks to vote despite a history of violence and intimidation by authorities. He also chaired the Mississippi Freedom Democratic Party, which sought to have blacks included among the state’s delegates to the 1964 Democratic National Convention. The bid was rejected, but another civil rights activist, Fannie Lou Hamer, addressed the convention during a nationally televised appearance. His dedicated purpose to strip away the evils of Jim Crow and racial oppression was done during a time when these actions meant that each day was tinged with possible violent reprisals. It took resolute sacrifice to fight the evils of this repressive system of historic hatred. Lawrence Guyot was severely beaten several times, including at the notorious Mississippi State Penitentiary known as Parchman Farm. He continued to speak on voting rights until his death, including encouraging people to cast ballots for President Barack Obama. Guyot participated in the 40th anniversary of the Freedom Summer Project to make sure a new generation could learn about the civil rights movement. Lawrence Guyot understood the need for young people to have a deep understanding of their history. That understanding could form the basis of a solid foundation to challenge injustice in their lives. “There is nothing like having risked your life with people over something immensely important to you,” he told The Clarion-Ledger in 2004. “He followed justice,” his daughter said. “Mississippi now has more black elected officials than any other state in the country, and that’s a direct tribute to his work,” Susan Glisson said. .“Very few Mississippians were willing to risk their lives at that time,” Eleanor Holmes said. “But Guyot did.” In recent months, his daughter said he was concerned about what he said were Republican efforts to limit access to the polls. As his health was failing, he voted early because he wanted to make sure his vote was counted, Guyot told the AFRO newspaper. If a man's worth is predicated on the value that society places on that man's work to benefit others. Then we Lawrence Guyot died in 2012 he did so with personal riches beyond humanity's belief. Mr. Guyot's eternal footprints will be forever etched along the pathway of justice traveled by peoples of all colors in this nation and the world. 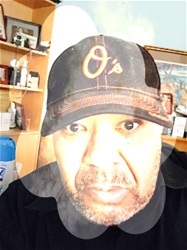 THANKS BROTHER LAWRENCE GUYOT CONTINUE TO REST IN ETERNAL PEACE.